The title for today’s post is somewhat lengthy but it still does not adequately describe everything that has happened over the course of the past few days. Still, it does convey the sense that a maelstrom has swept through the Hinckley household. Lets begin with the events that took place between 4:30 this morning and high noon. First, there was another opportunity to work on the Youtube Channel and the podcast, both of which are the primary reasons for inclusion of “never ending learning curve” and “exciting frustrations” in the title. Several months ago after a bit of urging, advice, nudging, and encouragement I decided to expand on the books, speaking engagements, tours, and tour consultation that is loosely known as Jim Hinckley’s America. So, work commenced on development of a podcast, self published guidebooks, and a Youtube Channel. 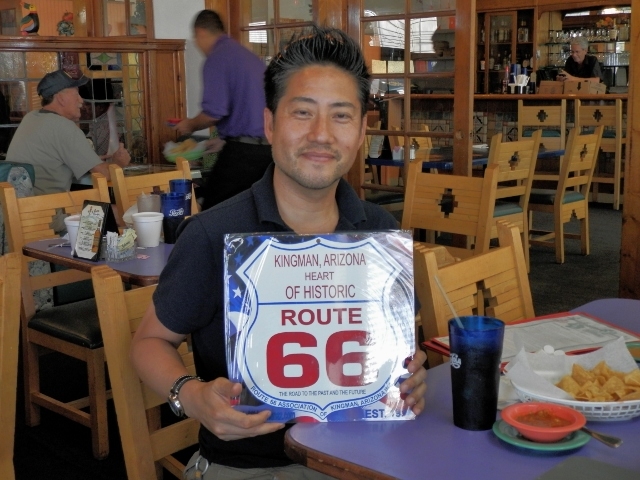 The topic of the latest video and audio project was a visit with Toshi Goto of the Japanese Route 66 Association. My dearest friend manned the video equipment. I handled the audio recording and editing. Well, polish is obviously needed. Still, I have never shied away from a challenge or a project that may result in a bit of embarrassment. As you watch this interview with Toshi, please pretend that there is a flashy opening, credits, and filming location. I worked on adding those items for a full day but between completion and loading to Youtube, they vanished. Back to the drawing board, or computer screen and key board. The audio for the podcast came out a bit better. Now, editing and distribution, that is the next project. Graciously, Toshi has hinted that we can try this again on his next visit. Stay tuned for part two in the near future. Toshi Goto and Jim Hinckley at El Palacio in Kingman. Then it was off to the day job. Well, the handwriting was on the wall for quite sometime but it still came as a surprise. Suffice to say I was home in time for lunch. Yesterday was rather long and quite full. 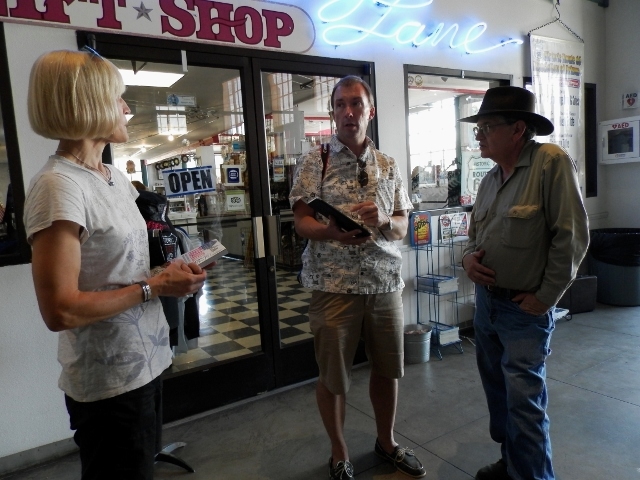 It culminated last evening with an interview about the Route 66 renaissance and how it affects Kingman. This is to be part of a documentary for Pivot TV. Sunday, as noted, we had a delightful visit with Toshi Goto. It kicked off with dinner at El Palacio where I presented him with a plaque from the Route 66 Association of Kingman, followed by the fledgling attempt at an interview at the comparatively quiet Ramada Kingman lobby. 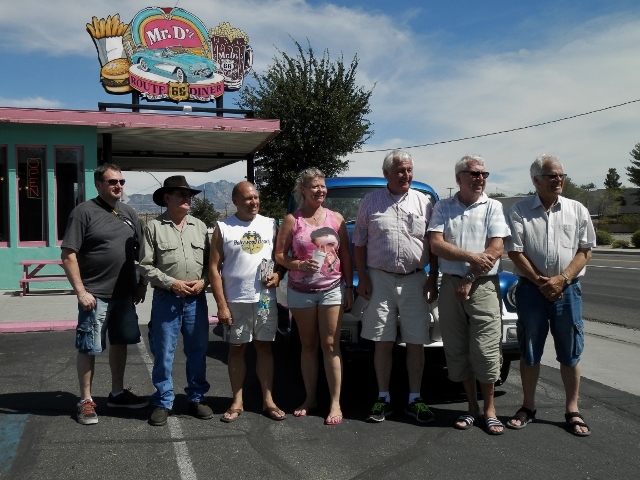 In an effort to foster development of a sense of community among Route 66 enthusiasts internationally, the Route 66 Association of Kingman is giving honorary memberships to all Route 66 associations. As Scott Dunton wasn’t able to attend, I made the informal presentation on the associations behalf. Sunday morning was consumed with a surprise visit from our son, and our grandson Nathan who recently celebrated his first birthday. Dinner with friends, apple pie and coffee shared with family, that is one way to ensure a day is most enjoyable. Saturday was largely a day that centered on work; namely writing projects. Specifically there was some editing work on the self published guide to the Kingman area, and continuing work on a revised edition of Backroads of Arizona. All work and no play, as they say …Saturday morning kicked off with an enjoyable breakfast at Rutherford’s 66 Family Diner and conversation with John McEnulty, owner of Grand Canyon Caverns Resort. Conversations centered on exciting new developments at the caverns, pending tour packages hosted by Ramada Kingman, and the sponsoring of Jim Hinckley’s America. Details on the latter will be posted this week. Friday evening was another interesting day. My dearest friend and I met with Kjetil “Chet” Sveistrup, and his wife Anne, of Norway based Hop A Long Travel. 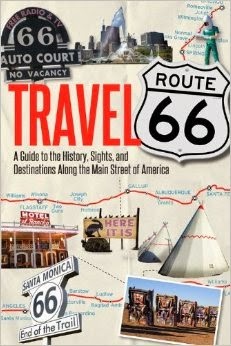 I was quite surprised and honored to learn that their clients are provided with two books; the EZ 66 Guide by Jerry McClanahan and the Travel Route 66 book published last year. I signed books and answered questions before adjourning to Mr. D’z for pie, coffee, conversation, and more book signing. That is another delightful way to end a day. 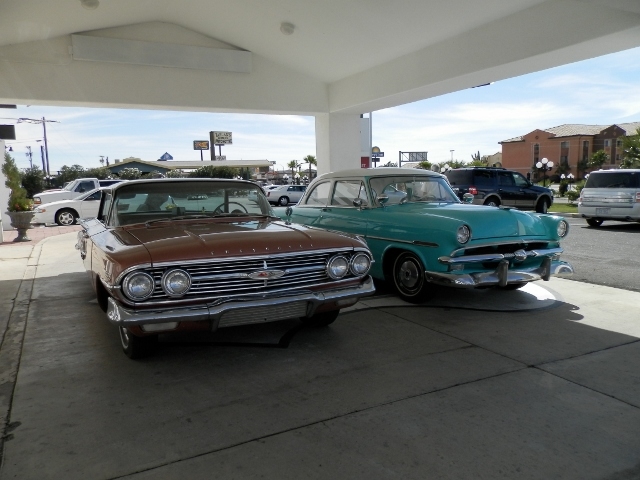 One of the companies was a delightful couple with a passion for vintage American vehicles. A manifestation of this was the fact that they were driving an all original, with the exception of after market air conditioning, 1960 Chevrolet. So, ends a weekend of adventure. So begins a new chapter. Let the adventure begin! Kjetil Sveistrup of Hop A Long Travel. Fans of Route 66 from Norway.